As summer winds down and fall is upon us, there are a few things we know for certain: The weather will turn colder, it will start getting darker earlier and many people will spend Sunday afternoons watching football. However, many things remain uncertain including how the new network prime lineups will fair. Every year, the networks put together what they hope will be a winning combination to capture the highest share of viewership. Here at Media Works, we’ve been privy to the tapes that the networks put out, showing clips of their new shows and we’d love to share some of our insights and predictions with you. ABC is starting the fall season with 3 new dramas and 2 new sitcoms. They have what Entertainment Weekly is calling the “Biggest New Drama” – this would be Nashville starring Connie Britton and Hayden Panettiere. It airs on Wednesdays at 10pm with little competition in the way of the aging CSI on CBS and a new show receiving little buzz on NBC – Chicago Fire. CBS’s new fare includes 3 dramas and 1 comedy. Their drama Elementary has been receiving some “good buzz”. It is a detective story featuring a modern day Sherlock Holmes and starring Jonny Lee Miller along with Lucy Liu as Watson. 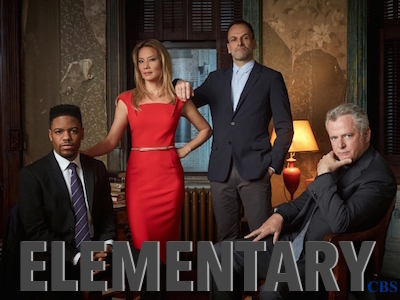 Elementary can be seen on Thursday’s at 10pm against the ratings loser Rock Center with Brian Williams on NBC and the sophomore show Scandal on ABC. FOX has the least amount of new shows on the fall calendar as they are committed to post season baseball in October along with 2 nights of the X Factor. Their new line up contains 1 drama and 2 sitcoms. However, they can claim what Entertainment Weekly is calling the “Biggest New Comedy” as their own. This would be The Mindy Project starring Mindy Kaling. The Mindy Project airing Tuesday at 9pm will have to beat back other sitcoms on the competition NBC has The New Normal (a new show) and ABC has Don’t Trust the B in Apt 23. CBS airs the popular NCIS-LA. NBC has the most new shows on its slate (2 dramas and 4 sitcoms) and lucky for them they were able to promote and showcase them during the highly rated Olympics. 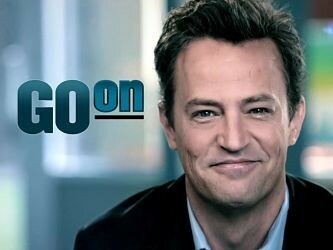 One of the sitcoms receiving good buzz is “Go On” with Matthew Perry. This show has the advantage of its lead-in being The Voice on Tuesday nights. NBC is taking chances and pinning a lot on their new Monday night drama “Revolution”. AS some of its predecessors have proven, shows with overarching themes tend to get bogged down by their complexity and/or absurdity. This remains to be seen with this show – one thing in its favor is the involvement of J.J. Abrams. With so much fragmentation in viewing and all the choices on cable now available, a show is lucky to make it to a second season. We will be curious to see which of the shows that are receiving critical praise as well as good buzz in the advertising community will still be here next year. Want to make a wager?? It’s being billed as the possible end to the longest winning streak in TV history. We’ve all heard about the late night TV wars but less has been written about the early morning TV wars – namely the competition between The Today Show and Good Morning America. Though each of these two shows enjoys number one status in different markets around the country, nationally the Today Show has been number one since December of 1995!! ABC executives have been obsessed with breaking this streak for years. The margin has been closing with GMA trailing Today by only 137,000 viewers last week – the closest it’s come in five years. This could all change next week when Katie Couric, one of the most popular Today Show hosts of all time, sits in on GMA for a week as guest host. Couric will be filling in for the vacationing Robin Roberts. Couric will have had an anchor role at the 3 major broadcast networks – starting on the Today Show and then switching to CBS Evening News in 2006. After a five year stint which did not have much of an impact on the ratings, she signed off but stayed with CBS as a news correspondent for 60 Minutes. She has now signed a contract with ABC for her own daytime talk show “Katie” scheduled to begin airing this fall. Immediately following Couric’s departure from The Today Show, Meredith Vieira stepped in fresh from The View. This was a seamless move and The Today Show remained on top of its game. That has not been the case in the latest anchor change and the rumors have been flying of Ann Curry’s dismissal. 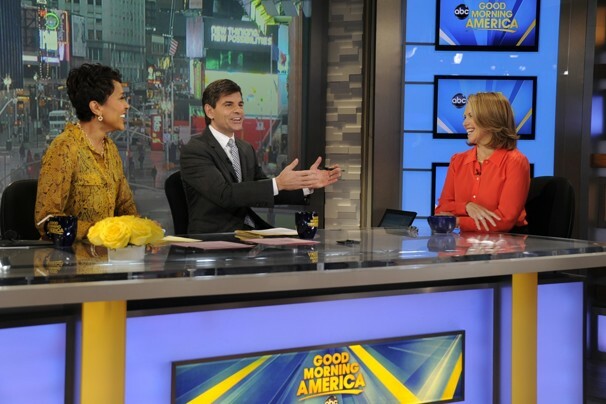 Across town, GMA has also had its shake ups – most recently Charlie Gibson and Diane Sawyer leaving and being replaced by George Stephanopoulos and Robin Roberts. 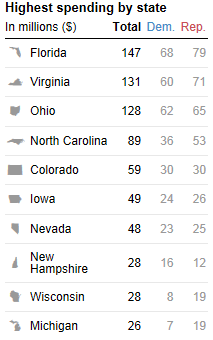 Whoever wins the ratings next week will have a nice jumping off point as we get nearer to May sweeps and all the “stunting” (quest for ratings) that will ensue. Regardless, Katie fans can turn in to GMA next week to once again see her perky early morning routine. And for those who are not fans of Katie, it may be a good time to tune in to The Today Show or check out the new and improved CBS This Morning with Charlie Rose and Gayle King (of Oprah fame). Please join us in welcoming our two newest media assistants – Ryan Trott and Katie Keane and our newest Media Works baby Kelyn Howard born to Sara and Joe on September 26! We had the first meeting of our first Media Works Social Committee (Pam, Laura, Jennifer, Lauren and Beth) and came up with some fun team building activities. We will all be bringing in baby pictures of ourselves which will be displayed around the office – we need to guess who is who. Feel free to stop by and try your hand at guessing or check out our Facebook page!! The game is on as Pod Penny wars begins!! Media Works is adopting a family through the House of Ruth – providing gifts and basic necessities for a family in need. Each pod will display a tastefully decorated jar to collect loose change in. Reps we are counting on you to help with this every time you stop by. In early December, we will weigh the jars and the pod with the heaviest jar will win a lunch out together. Fun competition while helping out a local family at the same time – what could be better!! Another pod vs. pod activity will include a bowling competition at Mustang Alley’s in early December – reps again you can help out by coming on down to cheer on your buyers!! These are just a few of the exciting events happening at Media Works – we are so thankful to be in our beautiful new offices as 2011 comes to a close and we look forward to an excellent 2012!! As Oprah winds down her amazing run on network TV, we all waited with bated breath to hear who the final guests on her couch would be. Yesterday Oprah announced the lineup for her final week: James Frey (infamous and disgraced author of “A Million Little Pieces) will be on for 2 days (overkill)!! The next 2 days will be spent at **Chicago’s United Center with a cavalcade of stars and the final day will be – drum roll please – Will Smith and Jada Pinkett Smith. I am curious to hear people’s take on what I consider to be an uninspired choice. Of all the people I’m sure she could have had her pick of, I expected more I don’t know oomph?? 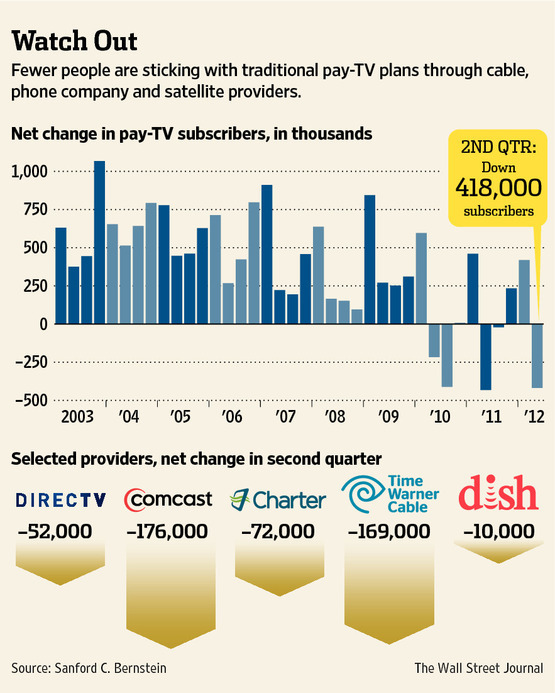 And now on to the future of Oprah’s fledgling cable network (OWN). OWN has been on the air for four months and it’s been a disappointment. Oprah will now be able to devote herself fulltime to this endeavor and her first move was to replace the CEO who had been in place for two years. 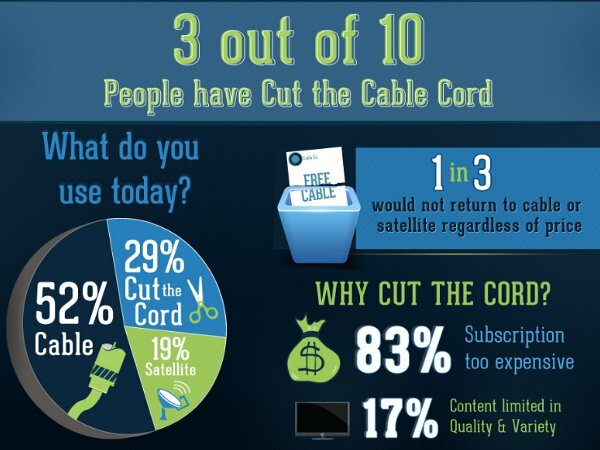 This move comes along with Discovery Communications (parent company) voicing their frustrations that the amount of money they have pumped into the network’s launch (over 200 million) has produced disappointing ratings. The network average of 309,000 viewers in primetime during the 1st quarter of this year, ranks it behind other female-targeted networks Lifetime and Oxygen. The networks newest show “Why Not? With Shania Twain” debuted to near record ratings. In addition Rosie O’Donnell will be airing her highly anticipated new talk show in a few months – so things are looking up. Other new original programming includes “Ryan & Tatum: The O’Neals on OWN” – this eight episode docu-series will premiere on Father’s Day and document the reunion of the father and daughter following a 25 year estrangement. The second issue of Oprah’s involvement will also be addressed with the curtain coming down on The Oprah Winfrey Show, Oprah herself will be able to devote herself and her resources to The OWN. If past history is any indication, The OWN will be successful as all the other projects Oprah has attached her name to. The question at this time is whether the cruel world of instant gratification media will have the patience to wait. ** Breaking News: ESPN Radio is reporting that due to Oprah’s taping at the United Center next week, the Chicago Bulls and Miami Heat will have to reschedule the first game of the Eastern Conference NBA Finals. This shows you how much power Oprah wields – even over a sporting event as big as NBA Finals!! We all know the answer to that. A few months later I blogged about the “Leno effect” and how Leno’s poor performance at 10pm was hurting the late news of NBC affiliates around the country and specifically in Baltimore, https://mediaworksltd.wordpress.com/2009/11/10/leno-%e2%80%93-the-results-are-coming-in/#more-486. After NBC decided enough was enough they moved Leno back to 11:30pm (the whole Conan issue is a story for another day) in February after the Olympics. And now the results are in on that and on the world of late night TV in general. It seems that Leno was not able to pick up right where he had left off. His audience is continuing to age and has surpassed Letterman’s audience in average age (Leno – 55.6 and Letterman – 54.7). The younger viewers are turning to Jon Stewart and Stephen Colbert in record numbers. In other television news the primetime Emmy nominations were announced today and there are a few surprises. (For the complete nominee listing see http://www.thedeadbolt.com/news/107728/2010_emmy_nominations_news.php) Two new shows have topped the list for most nominations of a regular series – “Glee” received 19 and “Modern Family” received 14. Not surprising HBO again has snagged the most nominations with 101 – with the miniseries “The Pacific” garnishing 24. Cable, once again has shown that they are a force to be reckoned with racking up multiple nominations in the best comedy & best drama categories as well as all the lead actor and actress categories. And to tie this back to the late night saga, Conan’s version of the Tonight Show was nominated in the best variety, music or comedy series category while Jay Leno’s version of the show was not. Ouch! !